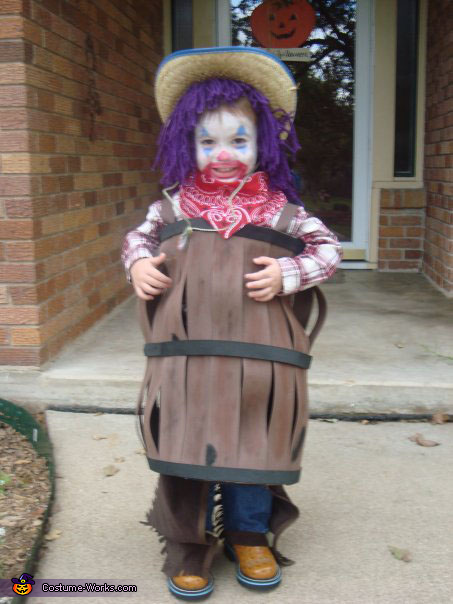 Grandson Hayden as a Rodeo Clown. The barrel is made of craft foam and large enough that he can squat inside if a bull is coming. How did you make the barrel?